She was a pioneer female in the world of ghost hunting, he played the ‘evil genius’ ghost hunter troll with an incredibly mean prank – years later they’re married and touring around the United States living their paranormal dreams. Dana Matthews and Greg Newkirk were at MiParacon at Kewadin Casino this weekend presenting their Travelling Museum of the Paranormal and the Occult. The couple’s story begins with Newkirk in 1999, when he and his friends (13 or 14 at the time) started the all-boys paranormal investigation team Ghost Hunters Inc. out of their hometown of Troy, Pennsylvania. 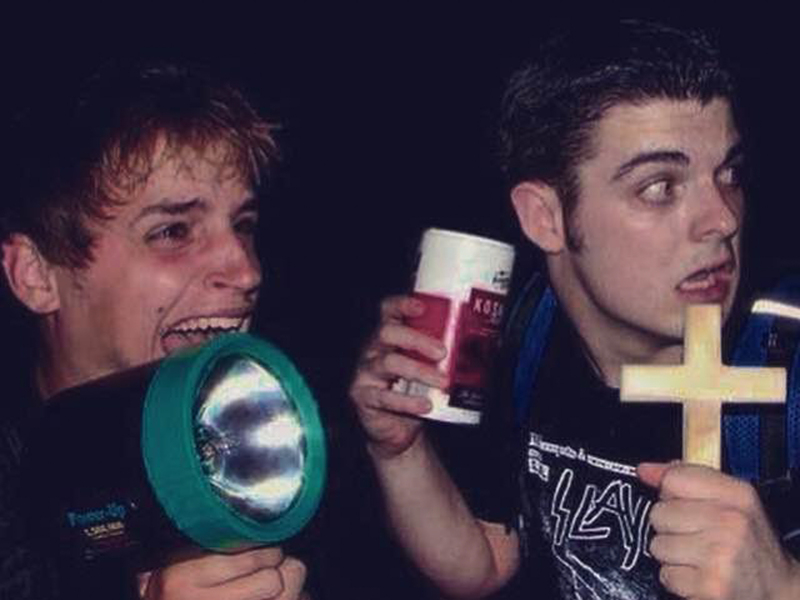 “We watched too much X-files and Buffy the Vampire Slayer and decided we wanted to go look for monsters. It turned out that monsters were real. We started going out every night and weekend, looking in every abandoned house we could find, looking up urban legends, and occasionally finding something really spooky. We would be dead in school the next day” he said. Meanwhile in Kitchener, Ontario, Matthews was getting into ‘the first wave of popular Ghost hunting shows’ like Scariest Place On Earth and MTV’s Fear. “My friends and I were watching these shows… and we decided that we really wanted to go out and see if people were actually doing this kind of stuff. We came across Ghost Hunters Inc. and found out there were people out there investigating this stuff and that inspired us,” she said. Along with her cousin, sister, and a best friend, Matthews started an all-female ghost hunting team, also with a website, that eventually landed on the name ‘The Girly Ghosthunters’. “Dana’s group contacted our group on the web and we sort of helped each other. We were this kind of weird brother-sister cross-border group,” said Newkirk. 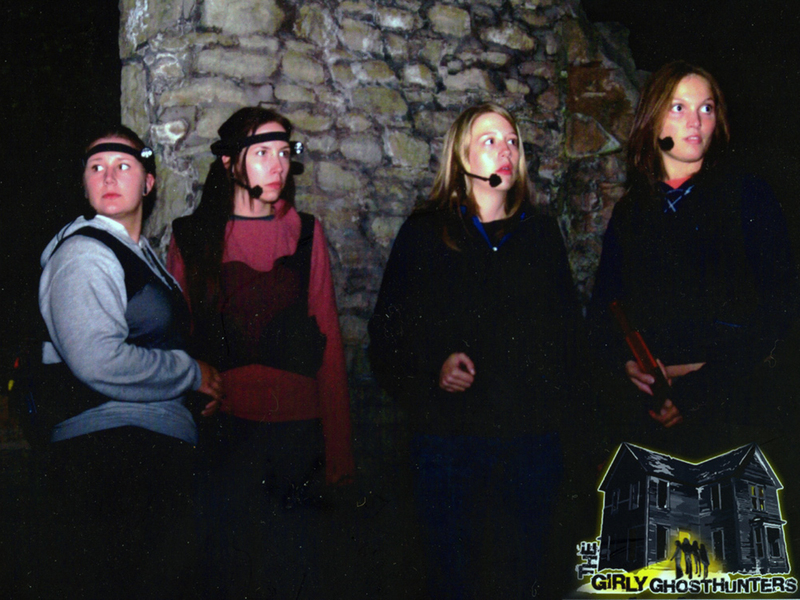 A television production company contacted The Girly Ghosthunters in 2002 and, out of that exposure, came the Girly Ghosthunters reality TV show that ran for a single 13-episode season on the Space Network in 2005. As far as Newkirk and Matthews know it was Canada’s first true all-ghost hunting show, the Space Network’s first reality show, and the group itself is the world’s first all-female paranormal investigation team. ‘When they got a TV show our group of all guys was super jealous,” said Newkirk. Ghosthunters Inc. team hatched a cruel trolling prank on Matthews and her friends. “We’re talking evil genius stuff,” said Matthews. Ghosthunters Inc. made an almost exact clone of the Girly Ghosthunters Geocities website except that they changed some of the quotes to “make them sound stupid” and replaced all the photos with the Ghosthunters Inc. team similarly posed but in drag. The guys then manipulated search engine results so that when someone searched for 'Girly Ghosthunters' on Google, the troll site came up first in the results. “I was a jealous boy with a crush (and) I was kind of a jerk when I was a kid,” said Newkirk. “It’s like when a little boy on the schoolyard throws sand at a girl he likes,” said Matthews. “I think it’s hilarious now (but at the time) we were pretty annoyed more than anything else. We just decided, no, we’re never talking to these people again, we just shut the door." After the betrayal of their friendship the two groups stopped communicating, for years. Matthews blocked Newkirk’s e-mail address and Newkirk’s attempts to reach out just bounced back. Fast forward several years later when one day Matthews, still in Kitchener, got a call from one of the other Girly Ghosthunters. Newkirk had felt so bad about what had happened that he and a friend made a ‘pilgrimage of apology’ up to Kitchener. “As a testament to my detective skills it only took like 45 minutes once we got there,” he said. That very night the duo went out on a Ghost hunt and the two started up their friendship again. After a year of messaging back and forth online they started a long distance romantic relationship that eventually morphed into their 2011 marriage. The couple, who these days describe themselves as ’professional weirdoes’, are now living out their paranormal dreams in Cincinnati, Ohio. They still do paranormal investigations, they run the online paranormal news magazine Week in Weird, and they go all around North America giving lectures and showing off artifacts from their travelling museum. Everything they do falls under their umbrella name ‘Planet Weird’. They have to eat “a few lean meals” these days but they’re doing what they love and to Matthews and Newkirk actually seeing Big Foot (as they claim), experiencing UFO’s in person, and hanging out with vampires in New Orleans are “irreplaceable” experiences. “I feel like we built up to this. We always loved the paranormal, it's something that the two of us have been doing for 15 going on 20 years and we’re really passionate about it. We get to write about all the weird things we love, to uncover stories we care about, and we get to do it for a living. We’ve been able to take our passion and we’re be able to turn it into a career,” said Newkirk. MiParacon was held at Kewadin Casino in Sault Ste. Marie, Mi. this weekend. Organizers say it’s one of the top two “strictly paranormal” conferences in the United States and the attendance increased from around 900 last year to about 1100 this year.